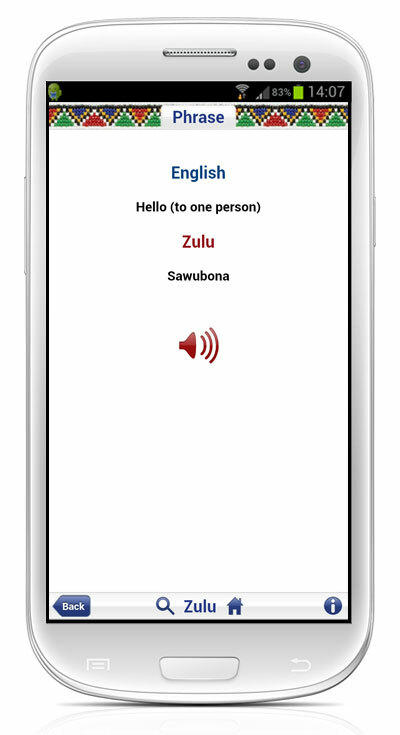 High quality audio clips for all phrases, spoken by mother tongue speakers…grasp the diction and rhythm of the languages! 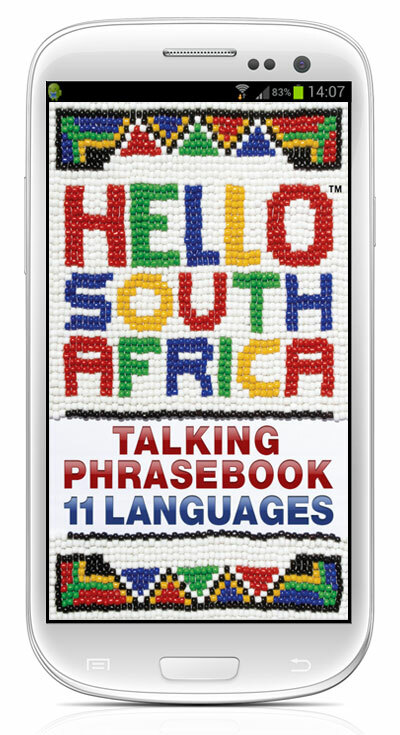 The Hello South Africa® 11 languages of South Africa Translation App is a fun, easy and effective way to learn how to speak South Africa’s Languages and interact with local South Africans. 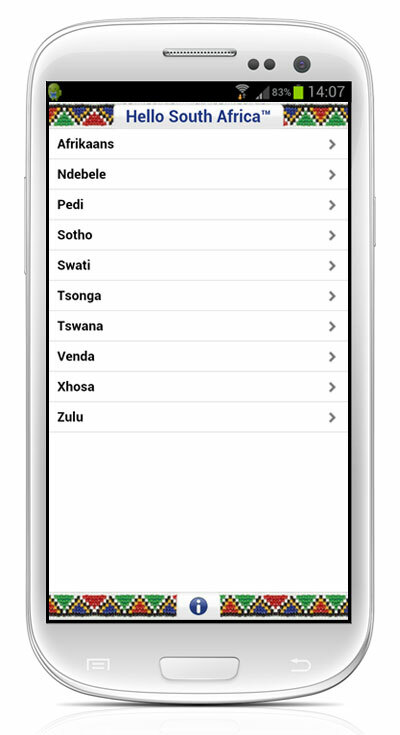 Conveniently stored on your mobile phone, it gives you access to the languages any time, anywhere and even in the remotest of places! 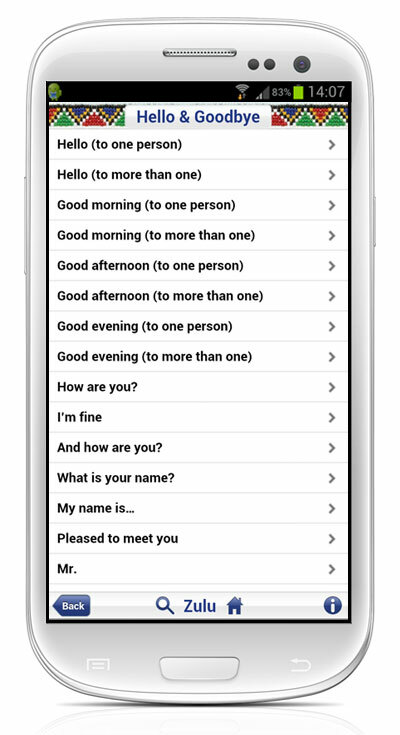 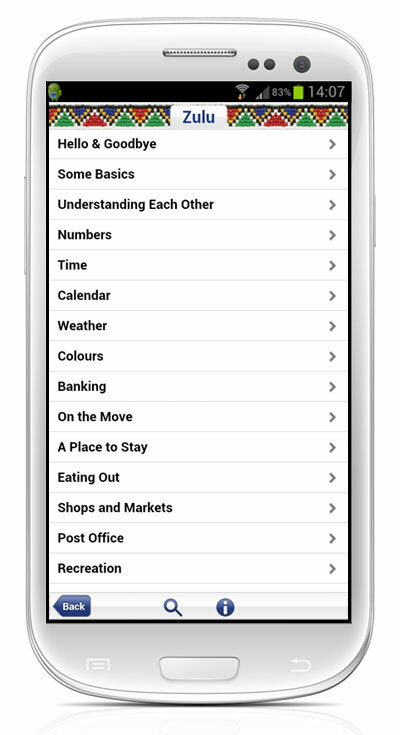 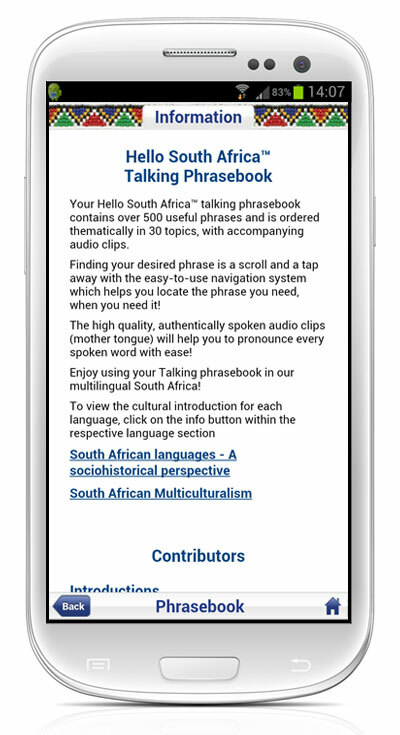 The Hello South Africa® 11 languages of South Africa Translation App makes for the perfect mobile learning and communication tool (both for visitors to South Africa and for local South Africans). 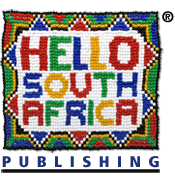 It ignites understanding, goodwill and mutual respect with/between the people of our unique and wonderful land, South Africa. 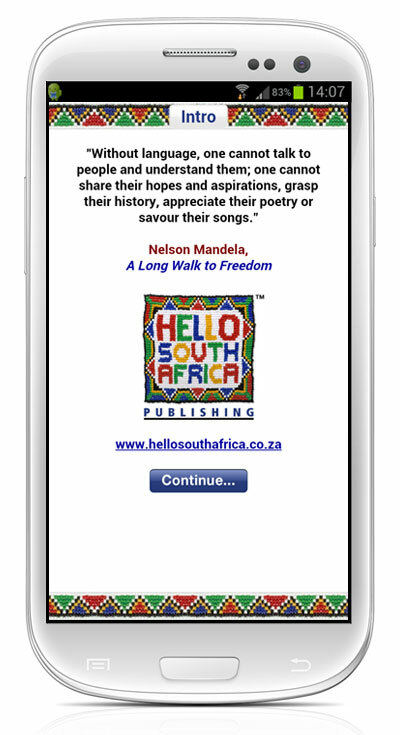 The Hello South Africa® 11 languages of South Africa Translation App is a mobile celebration of South Africa’s rich multilingualism and multiculturalism – at your fingertips.